The relaxing of security restrictions with the opening up of long-closed roads in Colombo, has turned the centre of the city into a fascinating haven for pedestrians. It’s now possible to walk the length of the road (Janadhipathi Mawatha, formerly Queen’s Street) running from the roundabout on the ocean front at the northern end of Galle Face Green up to President’s House. The cobbled lanes behind the restored Dutch Hospital complex (now a warren of boutique style restaurants and stores) are pleasant to stroll along after the sun has gone down and vehicle traffic is reduced. As well as newly opened restaurants there are interesting places to visit, like the Currency Museum. The main road, however, is even more fascinating. 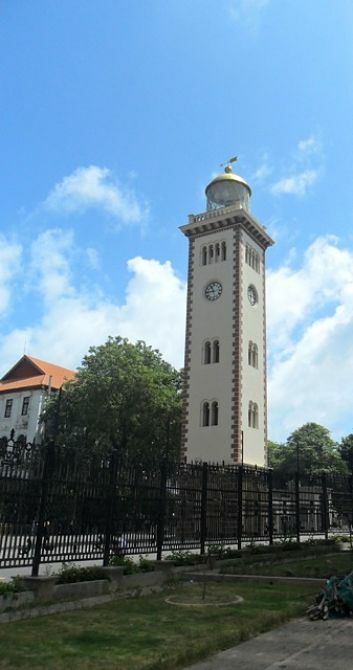 At the junction of Janadhipathi Mawatha and Chatham Street is the Clock Tower, a city landmark that used to be visible from the sea and served as a lighthouse until the 1950s. 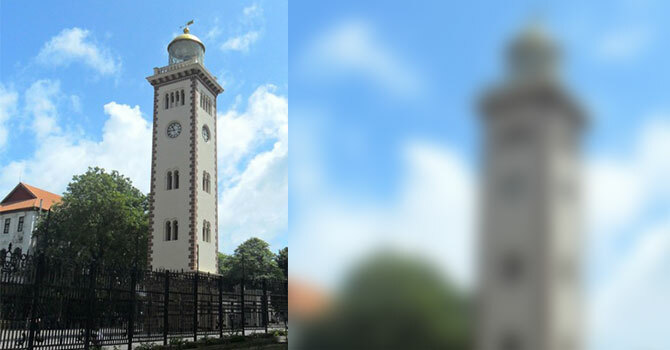 The tower was built in 1857 although it was not until 1914 that the clock with four faces – to show the time north, east, south and west – was installed. Heading further inland, the road has the old (but recently painted white) Edwardian building that was purpose built to serve as the General Post Office until closed in 2001. On the other side behind wire mesh netting is President’s House, not the actual but the official resident of the President. 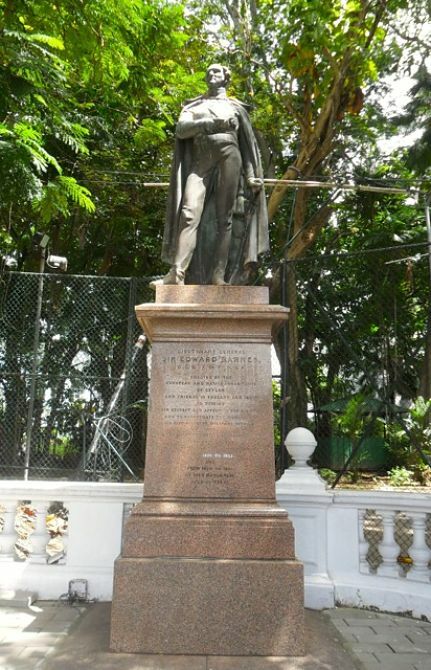 In a corner facing east down Jayatilake Mawatha to Pettah, is the forgotten statue of a colonial visionary, Sir Edward Barnes. Barnes (1776-1838) was a soldier who served on Wellington’s staff and was wounded at Waterloo in 1815. He was made Governor of the West Indian island of Dominica when he was 32, becoming Governor of Ceylon, 1820 to 1822 and 1824-1831. Perhaps his greatest achievement was an ambitious policy of road building that opened up the island to large scale economic development and aided in unifying Ceylon. He consolidated British control over the Kandyan provinces through directing the construction of the military road between Colombo and Kandy. He was also responsible for introducing coffee cultivation on the West Indian system in 1824. And he kick-started the settlement by the British of Nuwara Eliya through building a bungalow there, and also authorised government participation in the Peradeniya Botanical Gardens near Kandy. All road distances from Colombo to the outstations are measured from his statue. 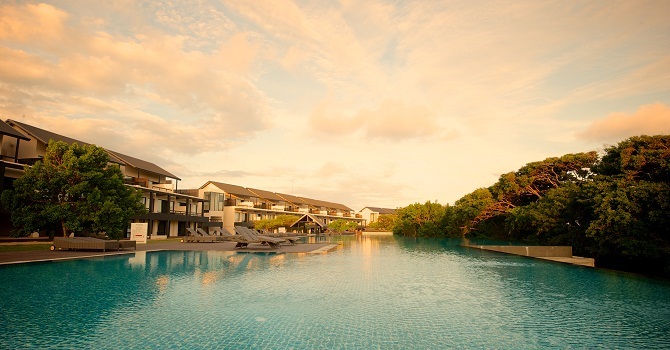 It’s a beautiful testimony to this country’s 19th century development.